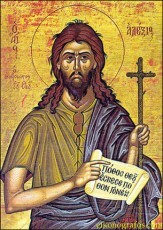 St. Alexis was the only son of a rich Roman Senator. He learned early to be charitable to the poor from his good Christian parents. His parents had chosen a rich Bride for him, but he wanted to give up his wealth and honors, and was finally given permission to do just that, leave his proposed bride for God, on his wedding day. He traveled in disguise to Syria and lived in great poverty near a church of Our Lady. After being there seventeen years, a picture of the Blessed Mother spoke to the people and said that this beggar was a very holy man. She called him “The Man of God”. After this apparition from the Blessed Mother, he became famous, which was the last thing he wanted, and he fled back to Rome. He returned as a beggar to his own home. Even his parents did not recognize him, by they were very kind to all poor people and so they let him stay there. In a corner under the stairs in his parents house, Alexis lived for another seventeen years. He only came out to pray in church, and to teach the little children about God. The Servants were often times very mean to him, and though he could have ended all these sufferings just by telling his father who he was, he chose to say nothing at all. He showed great strength of will to be able to carry this out for years. After Alexis died, his family found a note on his body which told them who he was and how he had lived his life of penance from the day of his proposed wedding, until death, for the love of God. St. Alexis made a conscience choice to walk away from more riches than he could have spent in a lifetime. He knew that the world with his wealth may cost him his soul. He walked away from it all, and became the poorest of the poor, to serve God with all of his mind, body, and strength. He even lived as a beggar at his parents Palace for the last seventeen years of is life, with them having no idea that he was their son. He did it all for penance, out of love for God. His life shows us that our focus should never be on things of this world, but for the life to come, with God. If we gain everything here in this world, and pay no attention to the life to come or God, what have we merited? Next time you see a beggar on the street, hopefully you can see the face or spirit of St. Alexis in them, and offer them some help. His life created many opportunities for those around him to perform acts of charity – don’t miss your chance to be charitable to others.